Save AED 280 (25.02%) – Earn 80 Shukrans What is Shukran? Shukran is the Landmark Group’s award-winning loyalty programme in the Middle East, which allows you to earn Shukrans when you shop any of our brands. 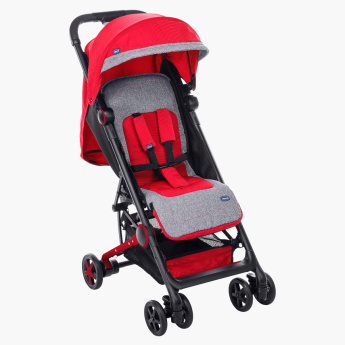 Make the best of the time you spend with your child outside your home, with this handy and attractively designed stroller. The sturdy frame, rotating wheels and hood make this stroller an ideal grab.